BRYAN EATON/Staff Photo. 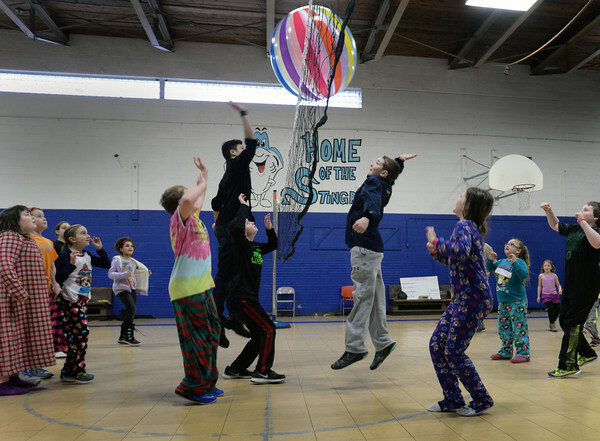 Youngsters play a game of giant volleyball on Tuesday after going to the see the latest Star Wars movie. Many special activities are on the board this week for school vacation like a floor hockey tournament, rainbow slime craft and an ice cream party at weeks end.